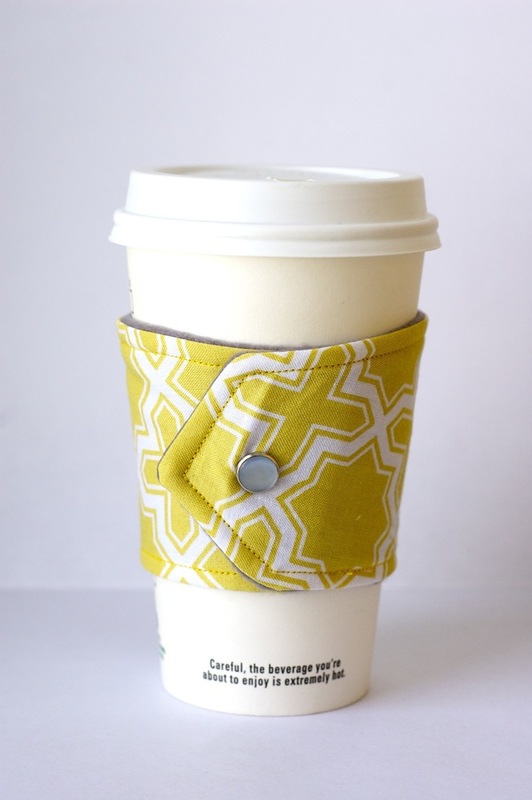 I finally started thinking" outside the cardboard" when it comes to these coffee cuffs. I've always made them with gorgeous designer fabric, but wanted to add more flair! I think we've accomplished that, friends. love this combination of mustard & grey. I also created some silly marketing for them. Let the record show that I crack myself up. Head on over to the shop to check out more of the new designs! 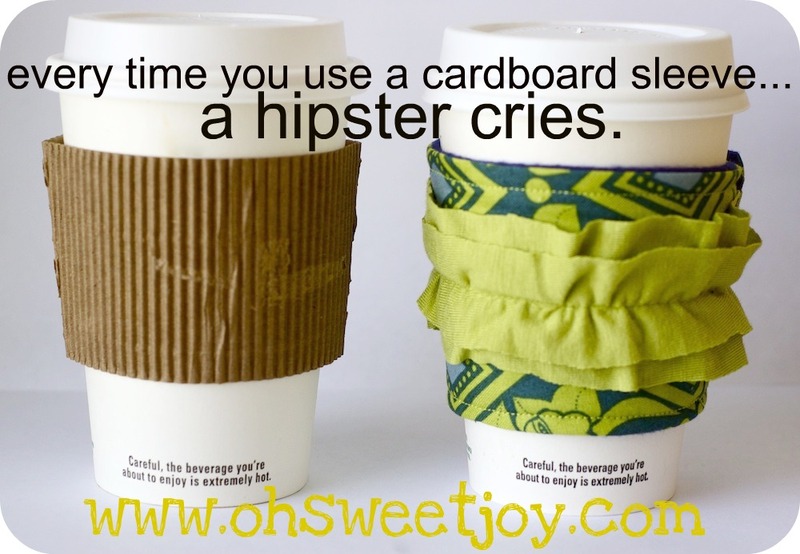 "Everytime you use a cardboard sleeve... a hipster cries." ruffles ruffles ruffle ruffles. enough said. your marketing photos are both hilarious and genius! love them. and just so you know, i do have a handmade cuff...gifted from a friend. so even though I don't have one of yours...am I still a baller?! Oh and I don't drink coffee....I use them for hot chocolate! 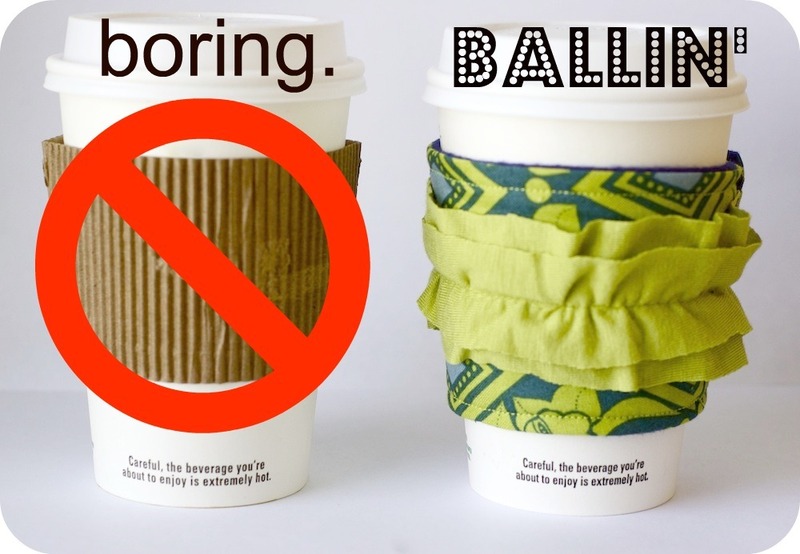 HAHAHAA You crack me up (Boring-Ballin!) LOVE LOVE LOVE THESE!!! I love the bunting one! And your marketing... absolutely hilarious! I love them! They are so cute - especially the bunting one! I love the cute marketing! They made me laugh!! love all of it. so cute. 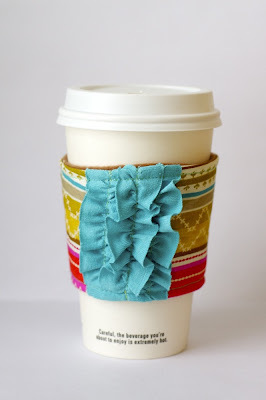 that ruffle coffee sleeve is soooo cute! 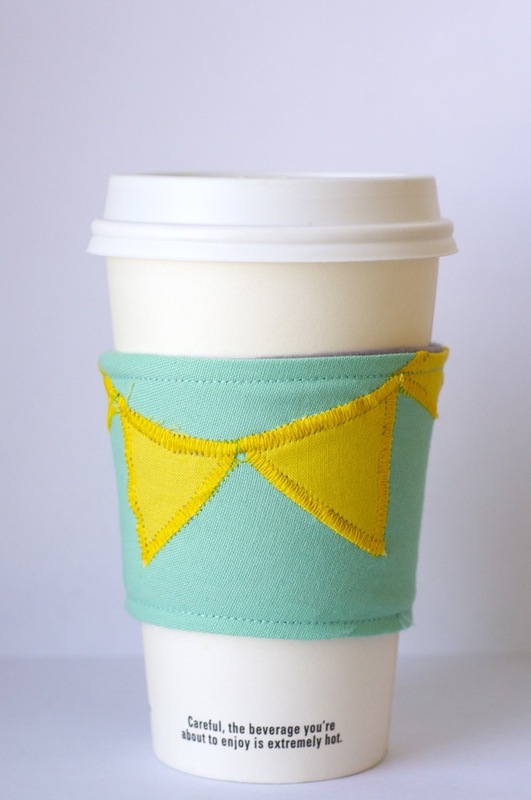 can we please trade coffee sleeves? please please please?! and i like your little ad for the sleeves. "ballin'"! 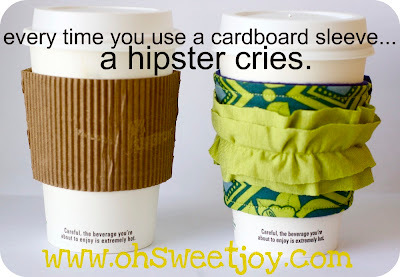 Wow, thanks for the visual on who hipsters are. I feel so enlightened. I just die. The cuteness. OH THE CUTENESS. 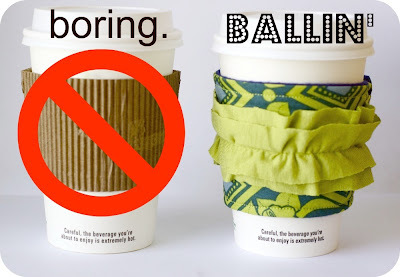 Your marketing campaign is GENIUS, and I just love the bunting sleeve. So sweet! Just found you on Aisle to Aloha...nice to meet you! Your sewing nook is awesome! have a great weekend kim! !